Dark, dreary homes can easily have an impact on the moods of the people who live inside of them. Instead of being stuck in a dark space, consider these tips for lightening your home and brightening your life. First and foremost, look at the color scheme that you use in your home. If you have dark cabinets, walls, or floors, the entire ambiance of the home can change and prevent light from reflecting its full potential within your house. Some designers suggest painting the walls white for the best light reflection off the largest space while adding bright accents to the room through furniture and area rugs. 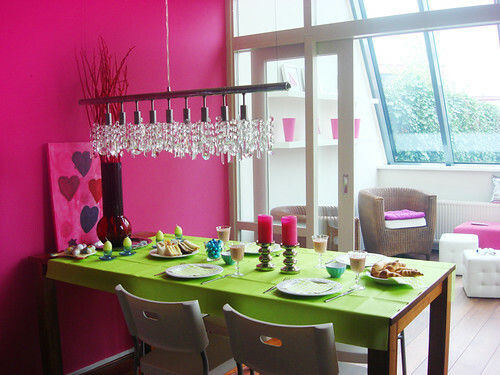 Other designers suggest painting your walls a bright color that pops to make your home bright. If you want, you could combine the suggestions and paint three walls a neutral color while adding a bright accent wall for style. Whatever you choose to do, be sure to stick with lighter colors that will reflect light the best. Light fixtures have a lot to do with how bright your home is. Try choosing a fixture that doesn’t completely enclose the bulb; as these get dirty, they block out more light. Additionally, you’ll want to choose a fixture that houses more than one bulb so that you have even more light brightening the home, especially when the sun goes down. If you don’t want to replace your light fixtures, try cleaning the shades that you have and replacing your bulbs for brighter ones; this alone may help change your home’s lighting. Blinds are great for blocking out light and for helping you maintain privacy within your home, but sometimes they block out too much light. Use shades that are easy to get out-of-the-way, such as grommet drapes, and choose a color that compliments your color scheme and helps brighten the room. 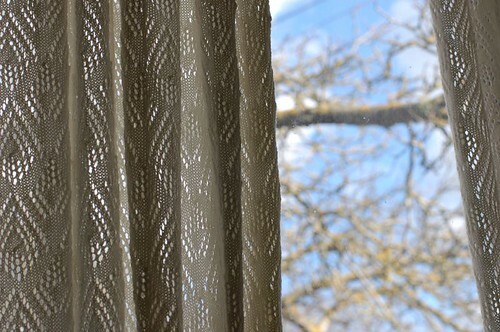 You might also consider buying thinner drapes that let in light while still providing privacy. When looking to brighten your home, you really need to look at how the light best reflects so that you get the most out of the light coming into your home. One of the best ways to reflect the light back into the room is with mirrors. Not only does this help brighten the room, but it helps fill space and make the room look larger. For inspiration on mirror placement and tips, check out this article. One way to really utilize all the light in your house is to let it shine between different rooms. Don’t be afraid to tear down walls between rooms to open up your space and make it seem brighter and happier. For example, you might get rid of the wall between the living room and kitchen; this way, your home doesn’t feel so cramped and the rooms can share the light. Final Tip: Consider installing more windows to let in more sun. If you’re ready to get rid of the dim, dull appearance in your home, use these tips as inspiration.